As a photographic artist, one can’t help being affected by this dramatic, awe inspiring location with it’s sublime vistas and jaw dropping engineering. But as we know, our rural landscapes are imbued with multiple meanings as industry, agriculture and culture play their part in turning our ‘untouched wilderness’ into something else. 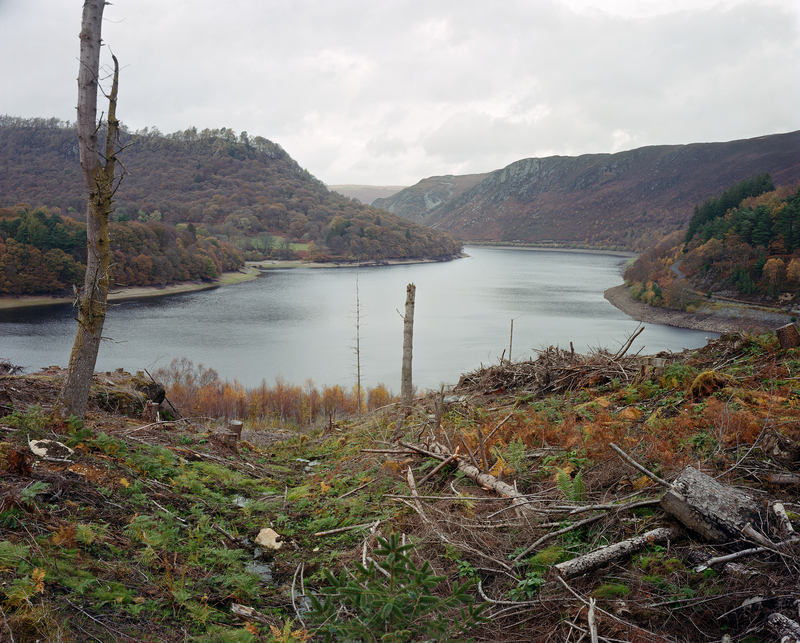 Here at Elan Valley, the human impacts are profound and for me the task of unravelling this ‘landscape’ was both rewarding and concerning at the same time. This wasn’t my first experience of mid Wales melancholia. Much of my childhood involved driving from our family home in Birmingham to West Wales via Rhayader and the Cambrian mountains. 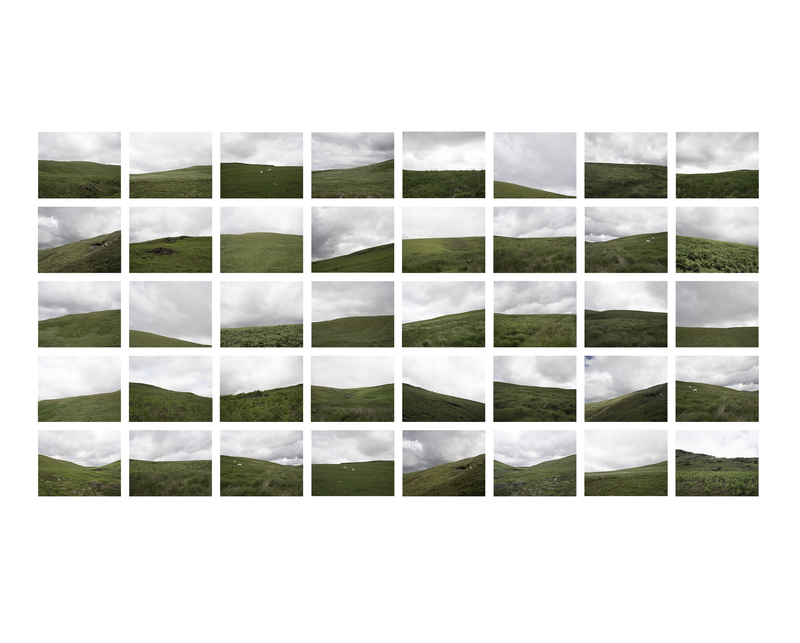 I have powerful memories of empty hills covered in sheep and grey pebbledash farmhouses, and saying to myself ‘I couldn’t live here for a year, even for a million pounds” And more recently, I have been documenting ‘Wet Deserts’ in Britain’s Western uplands, which has immersed me in the debates on what constitutes ‘unspoilt wilderness’, often simply summarised as wide open empty grasslands versus re-wilded native forests. So I entered the Elan Valley Nature Reserve with both a sense of awe and an awareness of some of the environmental issues facing rural Wales. Pretty soon into the residency I felt there was a ‘tension’ overhanging the Valley. A tension between a positive culture of conservation and regeneration set against a backdrop of commercial deforestation and destructive sheep farming. The replanting of native trees, wildflower meadows and the creation of sanctuaries for birds and wildlife, in the shadow of empty grasslands, poor acid soil, silent pine forests and low biodiversity. Certainly, you only have to rise a few hundred metres from the Valley floor before you encounter wide open grasslands dominated by sheep and nothing much else. One afternoon I walked around Claewen reservoir and didn’t see a single tree or hear a single bird. Although it was mid July it felt like mid winter, bleak and cold. George Monbiot’s quote, in his book Feral, immediately came to mind…. 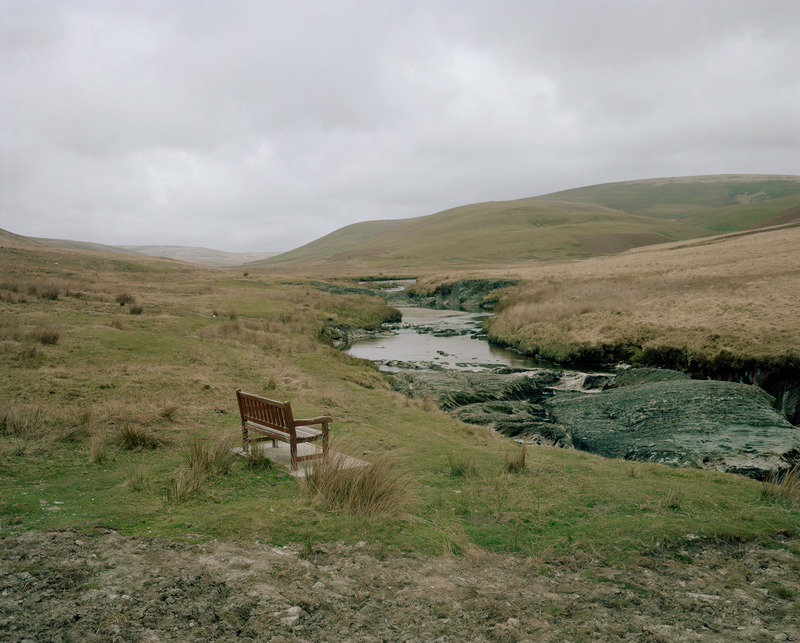 The book is a powerful critique of the state of the Welsh rural landscape and an argument for replacing monoculture farming (essentially sheep farming) with multi- species habitats including the re-introduction of key wild animals. He calls for the ‘rewilding’ of vast swathes of upland Wales in order to reconnect us with the natural world. As the story of Elan Valley and it’s water is intrinsically linked to the surrounding landscape, this ‘tension’ is I believe an important area for reflection, critique and dialogue. This landscape harbours important contemporary issues such as how to conserve and rebuild our threatened natural habitats, how to challenge mono culture farming practice, the politics and meaning of water (the new Oil), how to culturally reconnect a generation with nature, and how to plan and manage our rural land in the context of climate change and global population growth. My conclusion was that an artist residency programme here at the epicentre of the Welsh landscape could become a vibrant destination for artists wanting to contribute to these challenging issues at a time when so much land management is dominated by the miserable ethics of agribusiness and unsustainable farming practices. Whether we favour the romance of the rewilders ‘eco nostalgia’ or completely new ideas of high biodiversity regeneration, what is clear is that there is an opportunity here for new thinking. New thinking that is not coming from the main political parties or the corporate world. 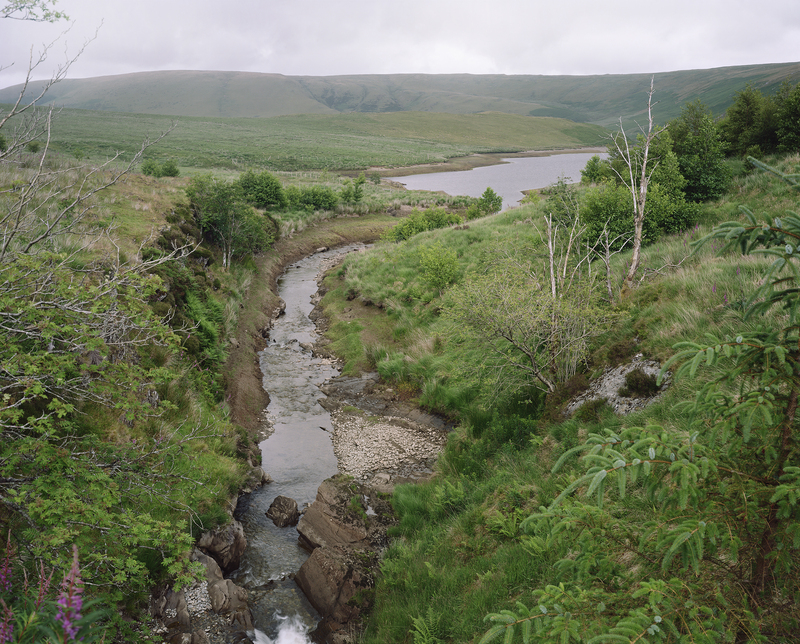 As a ‘not for profit’ organisation, Welsh Water, the ‘steward’ of this land and sponsor of this residency, is ideally placed to create a visionary and sustainable future for The Elan Valley that couldn’t come from a solely commercially driven organisation. Whether or not it commits itself to a truly enlightened approach to this land will depend on the ambitions and energy of the management. Although artists and their institutions don’t have the financial clout to make a difference, they may just be able to stretch the possibilities and inspire in a way that the financial shareholders cannot. If nothing else they will expose truths that can inform and enrich decision making. 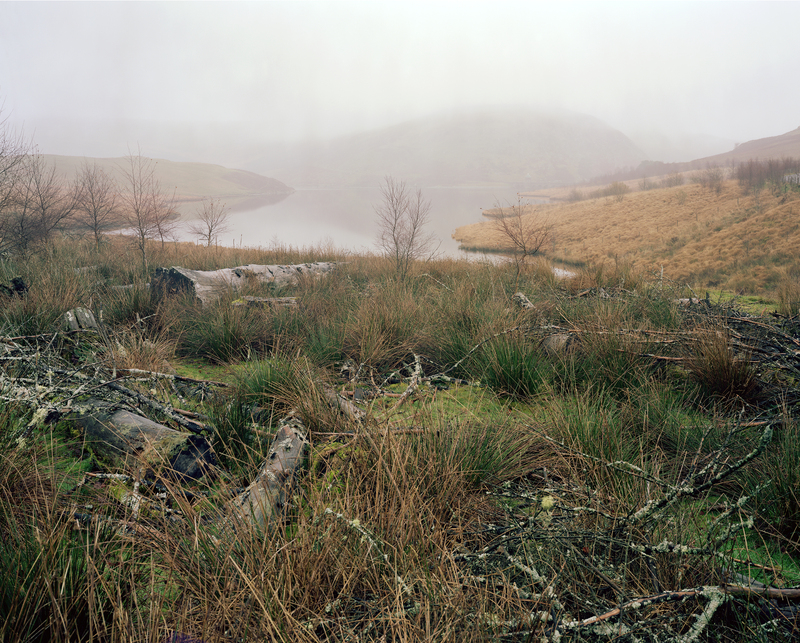 During my residency I kept returning to this small segment of land to the west of Craig Goch reservoir. Something was going on that I couldn’t figure out. It didn’t have the regimented feel of replanted native woodland nor did it have the decimated feel of sheep pasture. There were old tree trunks lying on the ground alongside new healthy birch saplings. There were young natives and conifers lining the small tributary and fox gloves poking through the long grasses. What looked like a christmas tree was growing on the bank of the road. Had someone dumped it from the boot of their car when no-one was looking ? The overall lushness made it look more like a plantation in St Lucia than native woodland in Powys, Wales. Eventually, I established that a few acres had recently been fenced off from sheep to protect a rare species of orchid. It didn’t feel planned or rewilded in a planted sense. Instead nature was reclaiming the land at its own pace and in a random manner that felt oddly ‘natural’. Early birch (the invader species) look so beautiful when they choose their own spot. Of course nature is always in a state of transition and eventually dominant species can take over if there is no balancing mechanism in place. But this odd patch of land made me think of the importance of human interventions and how quickly nature can reclaim land decimated by sheep farming or land exploited for short term profit.